The medium frequency electric furnace transmits energy to the heated metal through the magnetic field, and can even carry out vacuum smelting, and the benefit advantage of high efficiency and high yield is very obvious. The large capacity is melted by an induction furnace, and then tempered with a refining furnace to produce qualified molten steel, which is subjected to continuous casting (production of billets) or die casting (production of castings) to form a crude product for rolling or finishing. 1. Smelting yield. The electric furnace uses the alternating magnetic field to induce eddy currents in the raw materials to melt and melt the raw materials, ensuring that resources are not wasted, and the enterprise loses considerable economic benefits. 2. Energy consumption indicators. The working voltage can be as high as 4000V or more. It is easy to understand from the theory of power transmission. The high-voltage and low-current working mode is the key to energy saving. The same-capacity medium-frequency electric furnace is 50 degrees/ton lower than the electric arc furnace. 3. The grid is polluted and the flicker is serious. 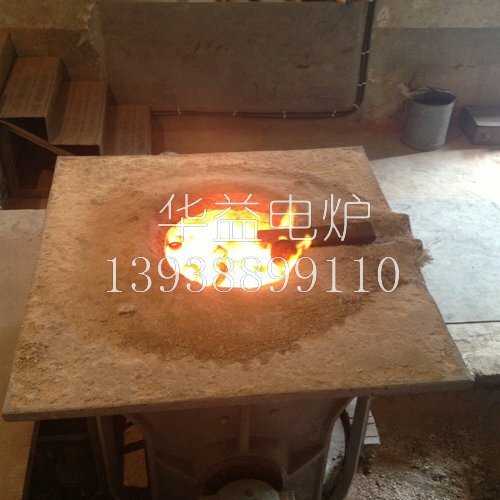 The induction furnace is a continuous stable load, and the induction furnace is equipped with refining equipment outside the furnace, and the product quality is stable and reliable. Based on the difference in yield, when smelting special steel (such as stainless steel) containing precious metals, 5% raw material yield is a considerable economic benefit brought by the intermediate frequency electric furnace. For the general-purpose production of ordinary steel enterprises, the economic benefits brought by energy consumption indicators are also indispensable. 4. Environmental protection. The medium frequency furnace induces intense combustion, oxidation and gasification, and the amount of smoke generated is extremely large, usually reaching 3000-5000 m3/ton, while the induction furnace is generally only 1000 m3/ton, which is less than 1/3 of the electric arc furnace, and the dust in the flue gas The concentration is also greatly reduced. Therefore, the environmental protection treatment cost is low, and it is easy to meet the environmental emission standards.